Foster Coach Sales, Inc. is pleased to have been awarded the Suburban Purchasing Cooperative (SPC) Contract #177 for Type III ambulances manufactured by the Horton Emergency Vehicles Company. This contract offers a choice of either the Ford E-450 (158” WB) or Chevrolet G-4500 (159” WB) Cutaway chassis. Both chassis options are powered by gasoline engines. Any Illinois tax supported entity is eligible to take advantage of the special pricing and other benefits offered with this contract, as well as the Additional Duty Type I ambulance contract that Foster Coach was awarded earlier this year. The Type I contract includes ambulances on either Ford F-series, International 4300, or Freightliner M2 chassis. The entire staff at Foster Coach looks forward to expanding the number of Horton Emergency Vehicle options available to the EMS providers in Illinois. As it has for over sixty years, Foster Coach remains committed to offering quality vehicles at a reasonable price, backed by unparalleled service after the sale. We are honored that the SPC has recognized this commitment throughout the past 15-years and has once again placed its confidence in Foster Coach. Please do not hesitate to contact Foster Coach for additional details on the SPC purchasing program. Once again, Foster Coach Sales, Inc. is pleased to have been awarded the Suburban Purchasing Cooperative (SPC) contract for Type I Additional Duty ambulances produced by the Horton Emergency Vehicles Company. Below is the letter from the SPC Purchasing Director announcing the award and acknowledging Foster Coach’s acceptance of the terms and conditions of Contract #174 for 2018. Any Illinois taxing entity is eligible to take advantage of the special pricing and other benefits offered with this contract. Please do not hesitate to contact Foster Coach for additional details. The entire staff at Foster Coach looks forward to serving the emergency medical vehicle needs of IL providers in 2018 and beyond. Ford Motor Company has announced plans to introduce the 6.8-liter V-10 (GASOLINE) engine into its F-series chassis in conjunction with an Ambulance Prep Package (option 47A). While Ford has supplied the V-10 engine as its sole offering in the E-450 cutaway ambulance chassis for several years, the manufacturer has responded to the growing number of requests for a similar engine offering in the F-series ambulance chassis. With the V-10 engine offering, customers considering an F-series based ambulance will now have the ability to choose between a gas or diesel engine offering. It should be noted that the V-10 engine has been utilized in the F-series platform in other applications outside of the ambulance industry for some time now, so this is not completely uncharted waters for Ford. The introduction of the V-10 engine will help Ford continue its overall chassis dominance in the ambulance industry, while also offering a cost savings to the end-user. Ford has announced that it will offer a single 240-amp alternator with this engine package, however, exact horsepower/torque ratings and overall pricing have not been released. We were informed this week that Ford will start production on Ford F450 and F550 gas engine ambulance prep chassis in November with an estimated delivery date to us in January. Steve Foster, President of Foster Coach Sales, Inc. has been chosen to serve on the specification committee for CAAS [Commission on Accreditation of Ambulance Services] to develop a comprehensive ambulance remount specification. Steve was chosen based on his 44-years of experience in the ambulance industry, as well as his dedication to the family-owned business which he runs with his three sons. This new committee includes six  Ford QVM [Qualified Vehicle Modifier} certified remounters, six  QVM certified manufacturers, six  EMS providers, and four  technical field advisors. 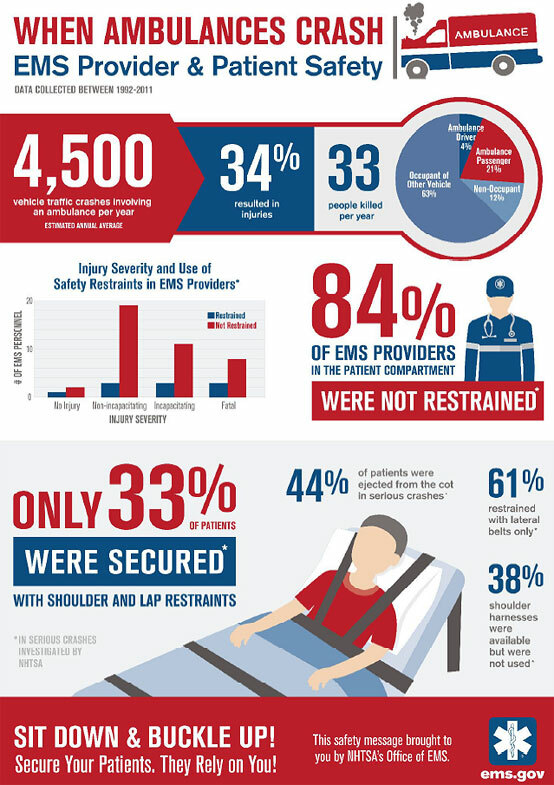 The committee has been organized to protect EMS providers from unsafe remounts and to establish a remount standard that has been remiss for several years. When a vendor remounts an ambulance, he is classified by the Federal Government and the chassis manufacturer as a “manufacturer”, since the unit is being assembled on an “incomplete chassis”. See attached article from JEMS. Many remounts are being performed each year by vendors, or even providers/operators, without registration with NHTSA [National Highway Traffic Safety Administration] or knowledge of the requirements that a manufacturer must adhere to. Foster Coach is one of only nine dealers and two manufacturers that Ford has certified to be a qualified manufacturer of remounts. In addition, as of today, Foster Coach is the only remounter to have undergone a certified pull test on their seat belt installation per Change Notice 8 of the Federal KKK-1822F standard. This was an expensive test performed to verify that the design and installation of the 4-point restraints in your remounted ambulance will be crash worthy. Once again, Foster Coach continues to go above and beyond to insure the safety of our units and the occupants on board, all while providing the value you’ve come to know and expect from the Midwest’s most respected ambulance dealer. On July 27th 2016, Dwight Phelps from the Ford Motor Company Qualified Vehicle Modifier Program did an onsite evaluation at Foster Coach Sales, Inc. in Sterling, Illinois. Once again, we passed with flying colors! Foster Coach is proud of all of our team that made this happen! We are proud to be one of the six designated QVM remount specialists in the United States to be recognized by the Ford Motor Company to be worthy of their seal of approval and backing. Thanks to all at Foster Coach Sales, Inc. and Rock River Auto Body, Inc. Be proud of what you do! Over the past several months, we have kept you informed on the pending changes to the KKK-A-1822F Ambulance Specifications. We expect this newly updated document will be published and effective on July 1, 2015 as Change Notice 8. Bob Parks has recently joined Foster Coach Sales, Inc. Bob has been working in the EMS field since 1971, starting work for the family Superior Coach dealership in New England. Bob received his EMT certificate in 1973, worked as a volunteer for a small New Hampshire service, and grew to understand the needs of his customers. As the industry developed the family business decided to stop selling ambulances and to concentrate on the funeral side of the professional vehicle industry. In 1991 Bob moved to Goshen, Indiana to work for Medtec Ambulance and has since worked supporting dealers in sales and design of ambulances for Medtec, McCoy Miller and lately for Horton Emergency Vehicles. Bob will concentrate on sales to commercial accounts and specialize in the Medix product line. Bob and his wife Diana live in Goshen, Indiana and but he will travel most of the territory for Foster Coach filling in the voids as needed. He has been a friend of the Foster family for years and has a lot of the same history that Steve Foster has in the EMS field. We are proud to have Bob join us as we continue to grow our market segment and customer relations. He will be a great asset to Foster Coach and their customers for years to come. In an effort to better serve our customers, Foster Coach Sales, Inc. is proud to announce that we have added a new product line to our existing offering. In addition to Horton Ambulances, we are now also a dealer for Medix Specialty Vehicles. This product line will compliment our existing lines and give our customers a wider choice of products with the same great Foster Coach service after the sale. 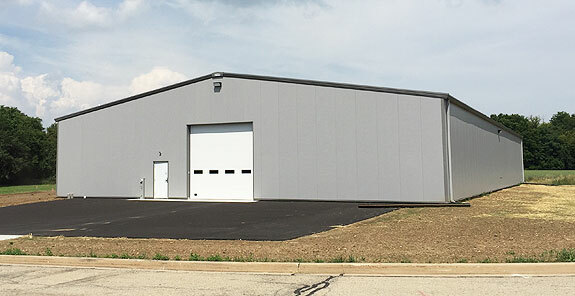 Medix Specialty Vehicles is located in Elkhart, IN. The Medix product line includes Type I and Type III modular ambulances, and the Sprinter, Chevrolet, and new Ford Transit Type II’s. Many customers are drawn to the value and “functionality” of Medix standard line of products. Having the Medix product line gives us the product diversity we need to provide customers who are looking for a value base product with the inherent quality and support valued by a discerning Foster Coach customer. 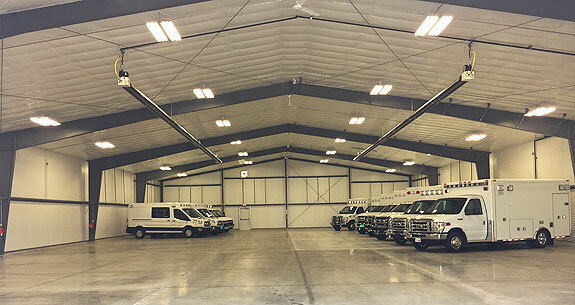 While not being a total custom manufacturer, Medix does provide a variety of custom interior configurations designed to meet the needs of many in the Fire/EMS industry. Medix offers a great, value based product that is a leader in the private sector and has a growing presence in the municipal, volunteer and hospital based markets. We are proud and excited to be partnered with them. Please contact us with any questions about Medix via our toll free number at 1-800-369-4215. We are sure that you will find the Medix product and our service worthy of your business. Foster Coach Sales, Inc. has partnered with WEMSA for discounts to its member for purchases of new Horton Emergency Vehicles. 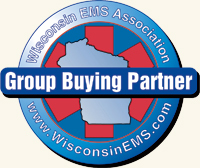 Each service and corporate member of the Wisconsin EMS Association is automatically eligible to purchase a new Horton with a discount from Foster Coach and Horton. Foster Coach is proud to be able to pass this savings on to numerous departments over the years and our association with WEMSA and their staff has proven to be beneficial to all. The Houston-Galveston Area Council has executed a contract with Foster Coach Sales, Inc. as an assigned vendor for Horton Emergency Vehicles, Inc. Should any municipality in Illinois, Iowa, Missouri or Wisconsin want to purchase a Horton Ambulance thru this Purchasing Cooperative, please contact us and we can assist you in purchasing your next ambulance smoothly and effectively with this group buying co-op. WHY CHOOSE FOSTER COACH SALES, INC. FOR YOUR NEXT REMOUNT? This article was in Hemming’s magazine that I got yesterday that I thought I would share with you guys. Interesting article that gives some history to it. My Dad said it should be a Cadillac or an Oldsmobile for an ambulance—not a truck—my how times have changed—note the hanging hardware for four patient transport!!!! 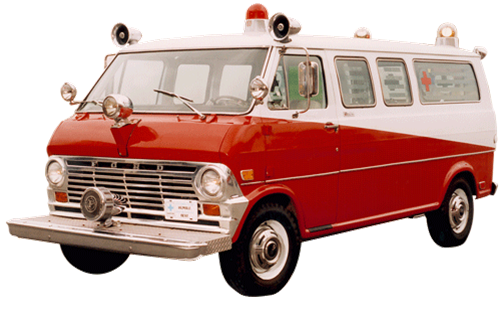 Carl Horton built his first ambulance in 1968 and we have a picture attached as well of his first unit. As we celebrated our 56 years of continuous service last year, we appreciate all of our wonderful customers. We would like to take this opportunity to say "Thank You" for your continued support for us and for our products. We have led the nation in sales and service once again this year, as we have for the last 16 years straight. We could not have done it without you, the customer. Additionally, we could not be where we are today if it were not for all the fine support staff in Sterling. We are told daily in the field how important of a part they play in our success. As we continue to meet the challenges of today's market, we look forward to the future and proudly reflect on the past. Our new facilities only make it better! Foster Coach is now a dealer for Leader Emergency Vehicles, recognized as the “Leader” in custom quality van ambulances. I have known the President for over 35 years and know his dedication to the industry. His products are a reflection of that commitment. Check them out on their website at http://www.leaderambulance.com/ and see why we are proud to be chosen as a “Leader” dealer. Horton has done it again. Their new Cool-Tech HVAC system is solving heating and cooling issues. Click on the attachment here to read more about it - another Horton first and exclusive feature! 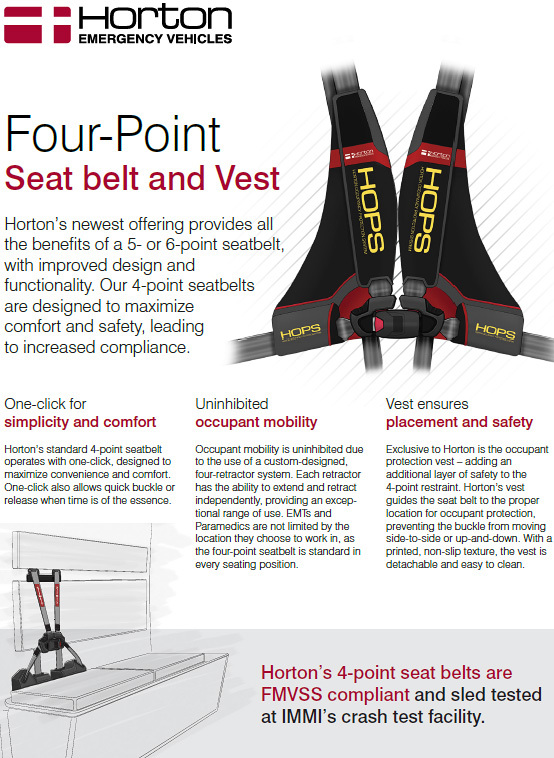 See why Horton is the leader in the industry for innovation and listening to you the customer and your needs and safety.